Piacenza, Gippingen & Segovia | Cycling Shorts. Once I was back from Sydney, I had a few weeks of training to prepare for the next trip away, in which I would be racing 3 weekends back to back in Piacenza, Gippingen and Segovia. Training took a racing focus once I returned home, and I started to introduce some intensity in training, by adding a 10mile TT and crit race to my weekly sessions. This way, I could replicate the kind of riding I’d experienced in Sydney, and hopefully that would better prepare me for future road races. 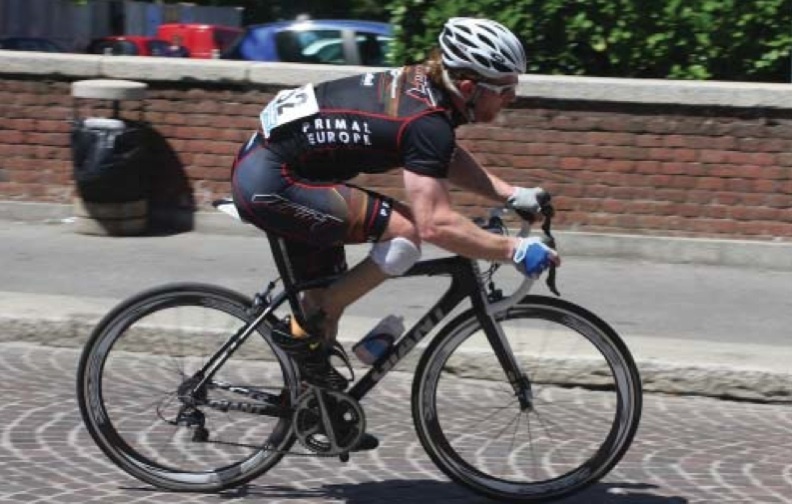 Piacenza in Italy was the first stop of my little road trip and I was joined by Jon-Allan Butterworth to represent Para-T at the P1 event, the team’s first road race. First up was a 58km 26lap crit around the town of Castel San Giovanni, and from the off, it was a fast race. With C4s and C5s racing at the same time, the attacks were going right from the first pedal stroke. Having learnt my lessons from Sydney, I tried to stay near the front of the race, and although a few went off the front I managed to stay in quite a select group of strong riders. I was feeling pretty good even though I was on my limit, but then, with a few mistimed accelerations and an increase in pace on the front the group started to get away. With a few laps on my own I was joined by a few riders who had been dropped earlier on and I worked with those guys until the end of the race. There was some confusion on the final lap of the race as the lead riders who’d broke away passed us on the start finish straight, effectively ending the race without our group sprinting for position, unfortunately I was pipped on the line and finished 7th. However, I was feeling good about my form and looking forward to the pan flat short 11km time trial the following the day. I managed to post a 14:26 which was good enough for 5th place and just 45seconds outside the winner Jiri Jezek. With my 5th place in the TT I managed to move up to 6th overall and score a few more valuable points for London. After Piacenza it was a 6hr road transfer to the Black Forest where we were going to be based for the Gippingen P1 event. Although the race was in Switzerland, we based ourselves in Germany just across the border, as the roads to cycle on were perfect, offering 5 days of beautiful rides and some good rolling terrain. Gippingen started with a 16.2km TT around a hilly 8.1km loop. The first half of the loop went uphill, the middle was flat and then it went downhill to the finish. With the first lap done, I was feeling good about how things were going, and then my minuteman caught me at the foot of the climb for the 2nd lap. I wasn’t too fazed by this as he’d finished 2nd in the last 2 time trials I’d raced, so I knew he was strong. But going up the hill for the 2nd time, I lost all my momentum and it wasn’t until the flat section that I could find my rhythm again, by then the damage was done. I came across the line in 23.20, not a bad time but only good enough for 10th place. The road race the following day was a tough affair and to be honest, I didn’t feature in the race at all. It was one of those days where my head and legs really didn’t want to do the same thing, and as we went up the 2nd part of the stepped 178m climb for the first time the race just rode away from me as I struggled to keep up, my legs really weren’t working well! I think 6 races in 13days might have been 1 too many for me, but I kept on and used the rest of the race as a training ride for the World Cup. I crossed the line in a lowly 17th place, one from last. After the event in Gippingen I left my Para-T team to join the GB setup as we headed to Segovia. The first 2 days of training we were greeted by torrential rain, but as the racing approached the weather picked up. First race up was the TT, a 21km race on a flat loop around the town of Valverde del Majano. It was going to be a quick race and I was hoping that the few easy days I’d had on the bike after the P1 events had been kind on my legs. Rolling down the start ramp and through the technical exit out of the town I quickly settled into a smooth fast rhythm and was relieved that my legs were feeling like mine again! With the long straight open roads the wind was going to play a big factor in the race, but with no real tailwind sections to speak of it was a tough ride. About half way through the 21km’s I had a bit of a disaster as my back went into spasm, and I could no longer maintain my aero position down on my ski’s of my TT bike, for the next 2minuntes or so I was struggling to hold my position while trying to release my back, all the time I could feel the seconds slipping away. 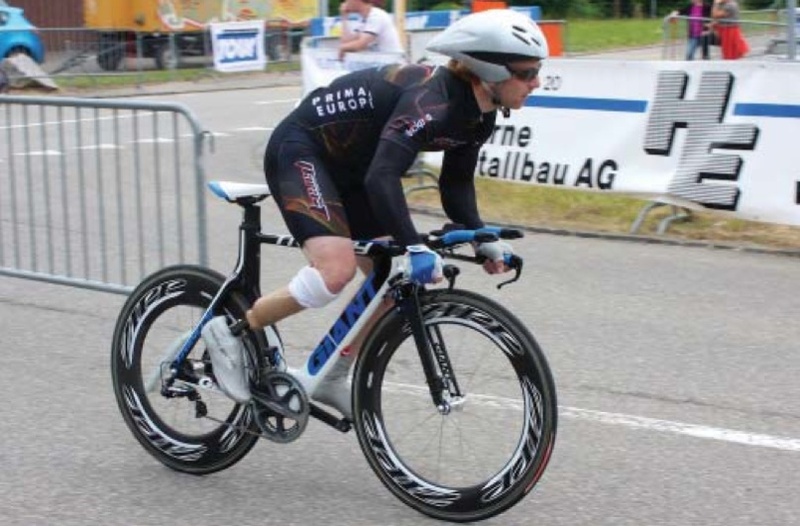 Thankfully the pain and spasm subsided and I could get back to tiding the bike at speed. The last section of the race was the fastest as it made its way downhill into the town. I crossed the line in 28:06, not a bad time, but only good enough for 9thplace, at least it was a few more points in the bag. I start I found myself struggling at the back of the bunch. Over the top of the rise I was about 50m off the back. Turning into the crosswind I put in a massive effort to get back on, eventually all the attacks failed to break clear, the bunch slowed enough for me to join again, however it wasn’t long until the attacks started again, and after the effort earlier I was spent, and watched the bunch drift off into the distance. Thankfully I wasn’t the only one, and after a few minutes of chasing the bunch it was clear that my chances of a bunch sprint had gone, but I was now joined by 3 other riders and we worked together to minimise the effects of the wind. After doing our even share of working on the front, going into the last 3km I noticed there was a reluctance for anyone to come to the front. However as I knew the race was essentially over for me I was happy to lead into the last kilometre. Surprise surprise I was jumped by 2 of the riders I was with, I quickly accelerated onto their wheels, taking the last left hander I moved into 2nd, and waited to make my move, 250m to go and I got out of the saddle and applied my track speed and powered by. In the end I finished 50m clear of the riders I was with, if only I could have stayed in the peloton as I had the speed for the victory, especially as the race ended in a bunch sprint, instead I crossed the line in 14th, outside the important points. With the Segovia World Cup done, I headed to Glasgow to do four stages in the Deloitte Ride Across Britain before getting back to my normal training programme and daily routine. Almost a little boring after all the travelling and racing this month, but it’s good to not live out of a bag or move hotel every week. Also it’s probably not for long, as there is more racing and exciting things to come.